Are 2015 Bordeaux Futures worth your Time and Money? Early April is one of the most important periods for Bordeaux wine; it’s when thousands of wine critics, journalists and buyers taste young samples of Bordeaux wines still in barrel from the recent harvest to offer their assessment so that the wines can be sold during the following months, typically from May until June following the vintage. I was among the purple-lipped, grey teeth wine writers tasting over 400 Bordeaux wines from the 2015 vintage last week. Unlike the previous four years, where the wines were inconsistent, in 2015, regardless of appellation and classification, the wines were delicious across the board. I suspected this vintage was going to be very good; it was obvious from the climatic reports describing the favorable weather conditions during the growing season to the glowing harvest reports from producers in October 2015. I wasn’t disappointed when I finished my tasting on the 8th of April. The hallmark of a great vintage is when the lesser-known properties simply labeled ‘Bordeaux’ with no specific appellation makes delicious, juicy wine. This year will be a go-to vintage for wine collectors as well as wine novices – if you are unsure what wine to order from a long list of Bordeaux chateaux, then decide on a price you are happy to spend and a random selection of Bordeaux from the 2015 vintage will likely provide you with a good wine. However, the majority of 2015s will not be available until 2017 and 2018. 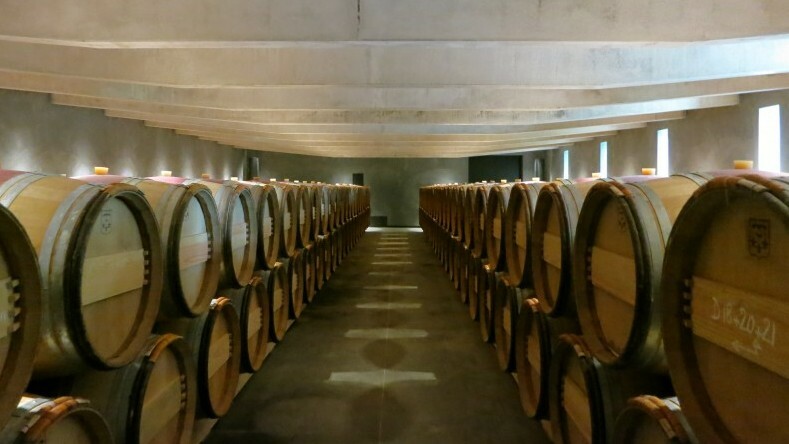 The big question in the coming months is really for wine collectors – should they buy the 2015 Bordeaux wine futures now or wait until these wines are available in bottle in 2018? The logic for buying early is to secure supply, which can run low if the vintage is in high demand, to have a special bottle format (e.g. magnums, double magnums, etc) and most importantly, to buy at the lowest price before the wines hit the retail shelves. No other wine region in the world has a distribution system that works as efficiently in selling wine futures around the world as Bordeaux – no other region can demand money for wines still in barrel two years before you receive the physical goods! Over the past 30 years, this system has ensured that the top chateaux selling their wine through this system have the majority of their income in their bank accounts within twelve months of the harvest. Obviously this system benefits the chateaux but hundreds of merchants around the world make a pretty good living as middlemen. The first to benefit traditionally have been the Bordeaux negociants who buy from the chateaux since top chateaux do not sell direct to importers or to end consumers. The negociants then sell on to importers and wine merchants around the world who peddle the wine mostly based on comments, ratings and assessments made during the en primeur week in April. The rationale for buying Bordeaux futures since the 2010 vintage does not look attractive. The majority of Bordeaux is in plentiful supply and since many chateaux produce over 100,000 bottles, the supply is plentiful even in the most sought-after vintages like 2000, 2005 or 2009. In addition, since the decline in demand in the Chinese market since 2011 for both wine futures and for bottled Bordeaux, there is a constant stream of both young and mature Bordeaux wines on offer by thousands of merchants who are sitting on a large stockpile of unsold Bordeaux. The most important argument against buying Bordeaux en primeur is its recent track record. Jancis Robinson, one of the most highly respected wine commentators, reports that according to Liv-ex (a UK-based fine wine web-based trading platform) profitability has plummeted for traders and for consumers, since 2008, buyers have lost money on every single vintage.. For example, those who bought 2010 futures lost money sine the wines after bottling in 2012 were cheaper than when they were offered for sale in 2010. It is clear that 2015 is a great vintage – I would compare it to 2005 and 2009 in quality. This vintage has the added benefit, like the 2009, of being enjoyable even in its youth, which is a real bonus for wine lovers. The final determinant on whether to invest in this vintage or not will be when prices are released in the coming months. I am cautiously optimistic that the Bordeaux chateaux will not price this vintage too high given the declining demand in China, the shaky global economy and the huge stock of unsold previous four vintages. This vintage needs to move, it needs to create momentum so that the past four vintages can find consumers instead of gathering dust in merchants’ warehouses. For the châteaux, lowering their prices will mean taking some risks – it may devalue their recent unsold wines such as 2013 and 2014, and it can adversely affect the prices of older vintages. Clearing stock in this way has a cascading effect – and going down in price is always much easier than climbing back up the ladder. The dilemma is: reduce prices to meet over-supply, lower demand and market conditions, or keep prices high to maintain brand and market position? China, together with Hong Kong, is Bordeaux’s most important market by value and volume, importing about five million cases a year. During the peak of the market in 2010-2011, top châteaux were confiding to me that they calculated between a third and half of their production was destined for China. But even in a great vintage like 2015, there were not many Chinese buyers attending en primeur. My conclusion after discussions with five different Chinese wine merchants is that there is currently very little interest in Bordeaux and even less interest in Bordeaux futures. Without knowing what the prices are for the 2015 Bordeaux wines, my initial recommendation is not to tie up your money on this great vintage unless prices make it irresistible – coming down at least 30-40% in price below the 2009 and 2010 vintage release prices. Fortunately and unfortunately for Bordeaux, the past few decades have produced a string of wonderful vintages starting with one of my favorite vintages, 1996. Even in tougher recent vintages like 2012 and 2014, there are some lovely wines and plenty of supply. I will be following the release prices closely and seeing if prices are attractive enough to make room for some 2015s in magnums for my cellar.